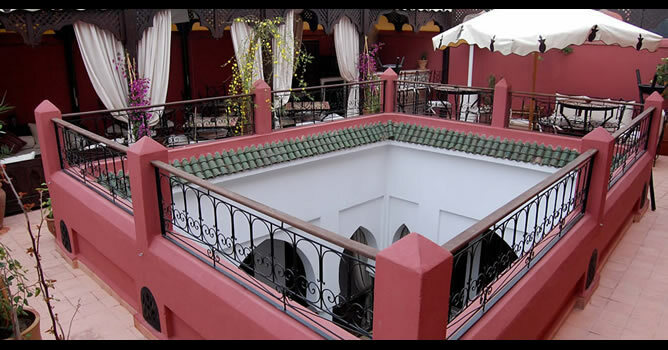 The ryad of Airain is in a unique location within the medina of Marrakesh : it is at the entrance to Bab Doukkala next to the hammam, only 50 meters from parking and taxis, 10 minutes' walk from Jemaâ El Fna World Heritage site, 5 minutes' walk from Gueliz and of the Majorelle Gardens, 2 minutes' walk from the Souks and 5 minutes' from Fouquet's (Barriere group), Marrakech's famous nightclub. 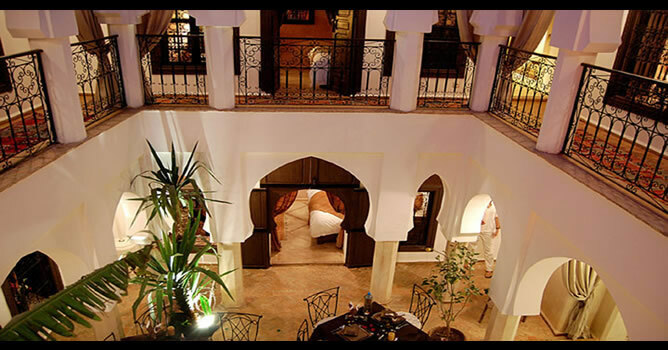 Owners Frederic and Karin Maffrand welcome you into the peaceful Eden that is the Ryad of Airain. 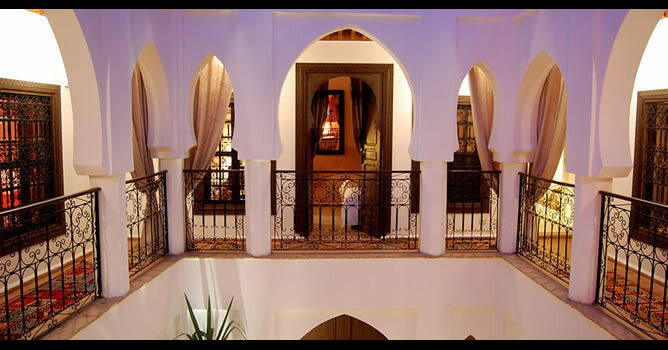 The fairytale of "A Thousand and One Arabian Nights" await you including relaxing indoor sitting rooms, a peaceful outdoor terrace, an indoor plunge pool in the patio, the "in house" Hammam and Beauty room, and the delectable Moroccan and International cuisine in our excellent restaurant. 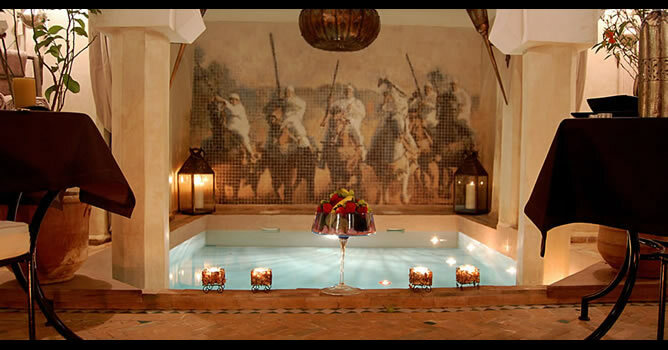 The peace and tranquillity of the Riad and its surroundings will contribute to providing you with a peaceful and relaxing holiday or short break. 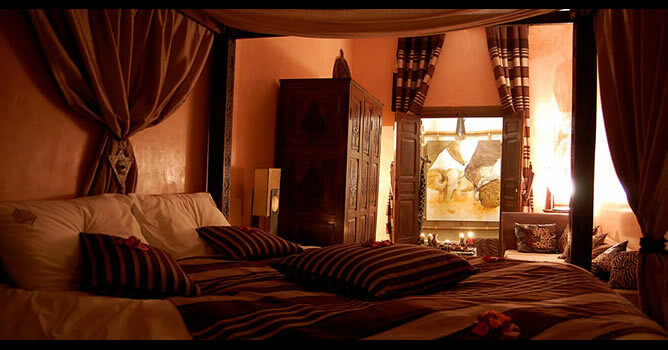 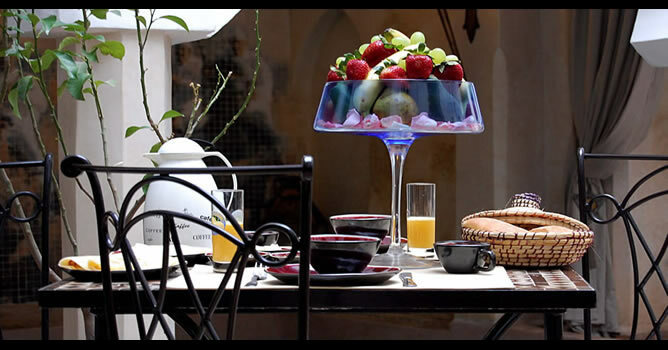 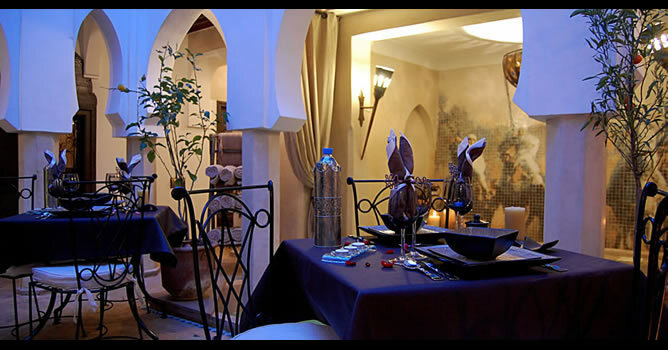 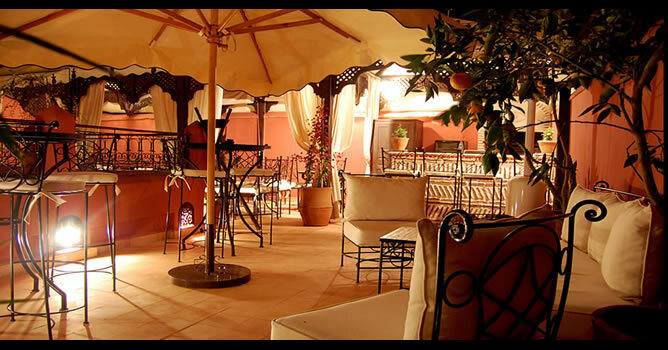 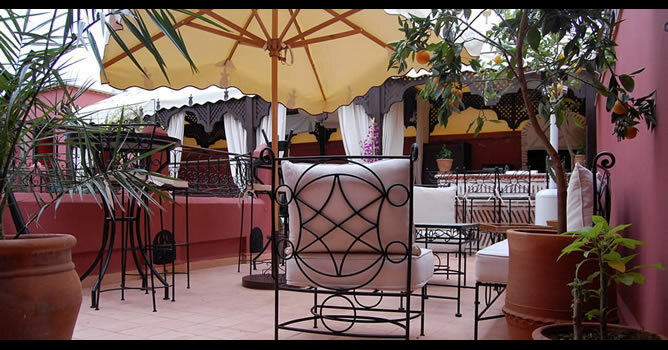 The Ryad of Airain offers 4 suites and 4 rooms, each individually and beautifully appointed with Moroccan influences. 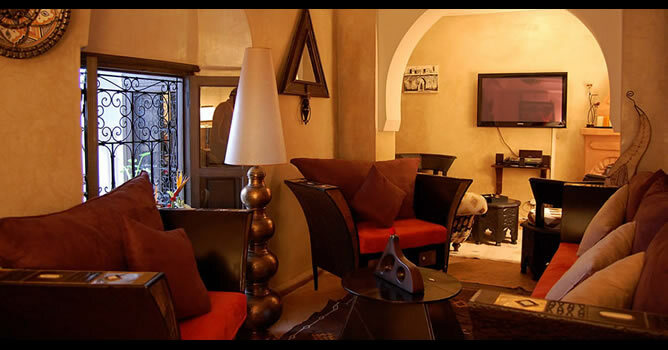 This beautiful Riad, its attentive staff and relaxing environment will ensure that your stay with Frederic and Karin will be an unforgettable one.